The MapGuide Open Source project team has made MapGuide Open Source 2.0.0 Beta 2 available for testing. 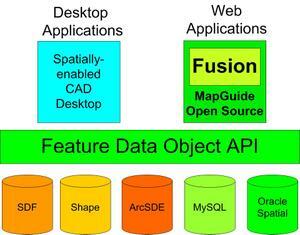 The main feature in this release is integration of the Fusion framework. See 2.0 Milestone Page for the complete list of new features. Also note that to aid with testing on Windows it is now possible to install version 2.0 side by side with previous versions; see SideBySide . If you are interested in trying the new Fusion layout editor in an Autodesk MapGuide Studio beta, please check out this page: MapGuide Studio Beta .